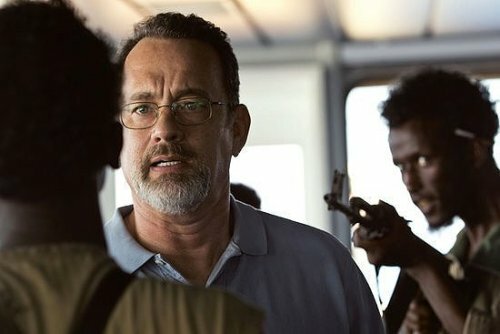 Paul Greengrass, best known for his work on the Jason Bourne series, bring us another compelling thriller to the cinemas with his latest work Captain Phillips. Stories based on true events are usually a dime a dozen but this film succeeds in creating a suspenseful and interesting film through his signature documentary style film work, a great cast, and solid screenplay. The film got some flack for portraying Captain Phillips as a bit too much of a hero. In truth, he was a bit of a stubborn and smug guy who ignored countless warnings from his crew. Despite some criticisms, the film successfully toes the line between staying somewhat true to the story and yet bringing us a Hollywood script that is actually interesting to watch. Tom hanks brings one of his top performances the the film. He portrays the moralistic and stoic character believably. His accent took a bit to get use to but as the film progressed it began sounding a little a less John F Kennedy impersonation and more Bostonian. The real star of the film however is Barkha Abdi who masterfully steps into the role of Abduwali Muse. Abdi a Somalian taxi driver made his acting debut in the film and was chosen from an extensive 700 man cast pool. He brings to life the desperate nature of Muse’s situation and his way of life. The film had some impressive production values and felt exceptionally grounded. Paul Greengrass thoroughly researched Somalian piracy and the events that happened on that day. Greengrass and the crew filmed on an actual ship and life boat instead of a green screen. And to further accurately recreate the location of the story he filmed the Somalia portions of the film in Malta. Paul Greengrass’ attention to detail and signature documentary style camera work paid off immensely for the authenticity of movie. The film kept me on the edge of my seat. The dialogue for the Somalian cast was truly effective and some of the improvised lines really brought the characters to life. The film was a rare example of how to do a film based on factual events. Reasonably paced, a fine cast, good cinematographic techniques, and a interesting script to boot; there isn’t hardly a criticism to be found here. Besides a seemingly overused and somewhat Hans Zimmerian-ending track for the finale I can’t really think of any flaws. Captain Phillips is an intense and engrossing film and I highly recommend. This entry was posted in Movie Reviews and tagged Barkha Abdi, Captain Phillips, entertainment, Film, movie reviews, Paul Greengrass, Review, thriller. Bookmark the permalink. Good review Timothy. One of my favorites of the year for many reasons, but the main which being that Hanks gives one of his best performances in awhile. I mean, those last five minutes?!?!? Forget about it! Yeah he still has it. All he needs is a good script to put his talents to use.